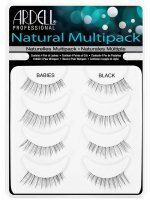 Individual Multipack - KNOT-FREE FLARES - MEDIUM BLACK by ARDELL. Set of 112 eyelash clusters. The package contains tufts of natural and universal medium length. The product will allow you to increase length and density of natural eyelashes. In addition, it is great and reliable finish for every eye makeup. Eyelashes available in black shade without knots. Set of 112 eyelash tufts. Available in medium length in black shade. 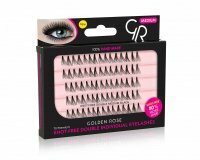 Perfect for thickening and lengthening natural eyelashes. They will be perfect finish for any kind of makeup.